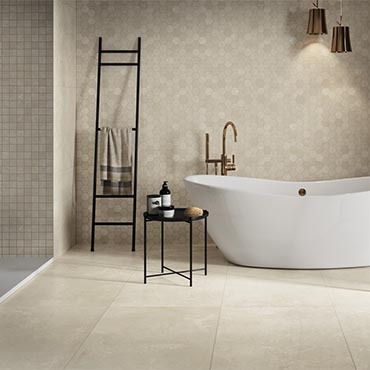 Iris Ceramica is the parent company of a multinational, world leader manufacturer of ceramic floor and wall tiles for residential, commercial and industrial projects. Romano Minozzi, company chairman, has led the group since its foundation in 1961. With a range of 6 technologies and 50 collections comprising more than 3000 items, Iris Ceramica exports its ceramic products to over 100 countries, spreading the "made in Italy" prestigious name throughout the world. Day after day the group reaffirms its commitment to producing high quality ceramic tiles with an avant-garde design, safe and easy to clean. Together with its collaborators and partners the company works hard to reduce the impact of its manufacturing processes on the environment. From the raw materials to the finished surfaces: the high quality of Iris Ceramica tiles comes from a thorough control of all stages in the production cycle, which are entrusted to the various group companies, in Italy and abroad. Quality also means innovation: for this reason the Iris group makes substantial investments every year, assigning a significant portion of them to research. Every day, thousands of square metres of ceramic, marble and granite products leave the group plants for countries all over the world. A talent confirmed by the prestigious references obtained by Iris materials in every continent. - porcelain tile, made from special clays and minerals, is totally impervious because of its fully vitrified body. In the extremely low maintenance, glazed version, porcelain tile combine the variety of colours and finishes of ceramics with the superior strenght of porcelain stoneware. - in the monocottura (single-firing) process, the bisque and the glaze are fired simultaneously at a high temperature, resulting in a stronger body and a harder surface. Every year, Iris Ceramica devotes 10 million Euros to research, with the aim of perfecting its technologies and sharing the benefits with its clients, offering them a flooring and wall covering product which becomes ever more attractive, resistant and easier to maintain.